Should Congress fail to avert a federal government shutdown at midnight, watch for the already long process of moving government agencies to the cloud to get longer still. And that is not good news for cloud vendors like Amazon(s amzn) Web Services and Microsoft(s msft), which are banking on government cloud contracts to fatten their bottom lines. Federal IT projects, like other government jobs, rely on a lengthy request for proposal (RFP) and bid evaluation process that will slow further if the government closes its doors, which looks increasingly likely as the Senate just shot down a House proposal. Linthicum estimates that for every day of a shutdown, projects and acquisition efforts will be held up 20 days — at least for affected agencies. An executive with a large federal government IT solution provider agreed that both RFPs and pending bid evaluations awards will be held up which won’t make cloud vendors happy. Virtually every cloud company is angling to grab up more potentially lucrative cloud contracts like the CIA cloud work now under dispute by Amazon Web Services and IBM. Said one agency administrator who could not speak on the record — many agencies will simply not open tomorrow morning becuase they have no funding. They will post notices on their web sites to that effect. 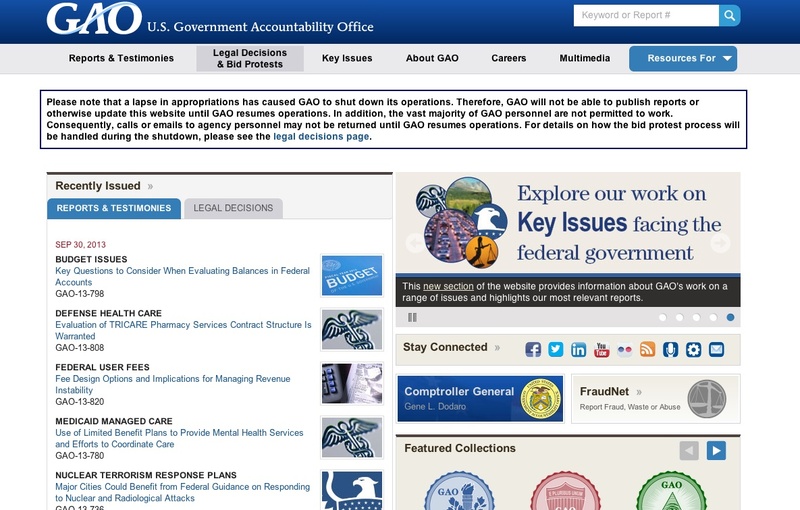 The Government Accountability Office, for example, which processes contests over bids, will be impacted as will other government-funded organizations. Last week, the White House Office of Management and Budget posted guidelines for agencies to follow in the event of a shutdown but the long and short of it is if a non-essential government employee is not being paid, she’s not to work and that means no checking email, according to The Washington Post. On the other hand, the Federal Court of Claims which is scheduled to hear arguments on the CIA cloud dispute on October 7, has told litigants to be prepared to forge ahead regardless of a government shutdown, according to a statement on its site. It’s ironic that the shutdown angst comes at the same time when cloud vendors like Microsoft and Google are under scrutiny by users irritated that cloud vendors are turning their data over to the National Security Agency. Honestly, all this cloud-government tsuris is enough to make you crawl back into an Internet-free bunker. Update: Well it’ s happened. Note: This story was updated at 6:13 a.m. PDT with news that the government closure has happened.